The following case presentation was used at The Greenbrier Conference in August 1991 as a stimulus to the invited experts. 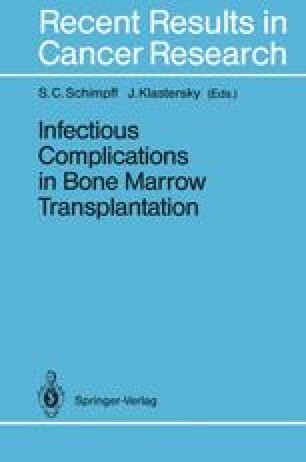 The questions were prepared to be consistent with the type of problems commonly encountered by clinicians caring for patients who have undergone a bone marrow transplant. The questions were designed to be straightforward yet raise issues for which the answer is frequently controversial. There was lively discussion regarding most answers, a summary of which is given at the end of this monograph.